If you’re ready to reset food cravings and unhealthy habits, re-build your body and mind from a cellular level, while being in a supportive group of like minded people guided by myself and Melissa, a passionate Nutritionist, then you will want to join this 4 week Health Reset group program. Start 2018 focused, connected, and the best version of you. Upgrade and rebuild your cells with nourishing nutrition and high vibe food! Achieve your life long health and well-being goals in small, easy steps during the 4 week group program and learn life long habits to keep you well, energetic and vibrant! This small group program is all about helping YOU get back on track the RIGHT way. Weekly workshops and education throughout the detoxification program will help you to introduce new lifestyle habits to stay toxin free. Your inbuilt detoxification systems and how keep them working efficiently. Common toxins you and your family are exposed to as part of every day living and how they are damaging your health. How a whole food, phyto nutrient rich diet, can help combat toxic exposure. How toxins created mineral deficiency. Have increased energy to do the things you love. Improve your skin for a clearer, glowing complexion. Say good bye to negative thoughts and hello to a better mood and happiness. Enjoy deeper and refreshing sleep. Reduce food cravings for unhealthy food choices. Reduce fluid retention and bloating. Improve liver, gut, kidney and lymphatic function. This is a small group program and seats are strictly limited to a maximum of eight people! Don't miss out book today. As part of this program you will received. Four weekly workshops. Jam packed with information to get you on the right track and allow you to stay toxin free. Our very own detox recipe guide and smoothie guide. Access to the Exclusive Membership Group. Supplements to help you detox. Improving liver, kidney, and bowel health. SUPPORT, MOTIVATION and INSPIRATION for 4 weeks. Don't Miss Out - Register Today. Strictly 8 people per group. 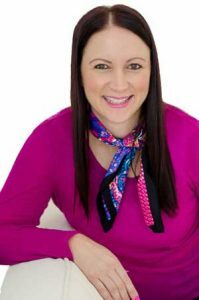 Let me introduce myself... My name is Marianne Fernance and I am a qualified and experienced Naturopath, Nutritionist, and Herbalist. I am passionate about restoring health and vibrancy in people’s lives through dietary and lifestyle education, herbal medicine and nutritional medicine! I have a balanced approach to life and love to cook using food as medicine and yet maintain the joy and satisfaction that we love about food and living. Autoimmune conditions including rheumatoid arthritis and hashimotos thyroiditis. Digestive disorders including ulcerative colitis, inflammatory bowel disease, and irritable bowel syndrome. Hormonal imbalances and natural fertility. I put this challenge together to make it EASY for people to get back on track with their health and fitness goals. I know how difficult it can be to try to make health and lifestyle changes on your own. Now you'll be plugged into a community of people that share your same goals. I'll be there to help you every step of the way. I'd love it if you could join us!